Breakfast literally means "breaking the fast" of the night. During night-time our attention turns inward and almost all input from the outside is paused. We temporarily shift to another state of mind. Most of the time, an encounter with an artwork is preceded by a multitude of sensory, emotional and intellectual interactions. What would happen if an exhibition is the first thing we are exposed to after waking up, when we have had little sensory activity and almost no interactions with our surroundings. By moving the usual timeframe in which we look at art, the viewer will have a slightly altered state of consciousness. Does this result in a different susceptibility, a different reflection on the works? Does it affect how we perceive the succeeding reality of a day? As the exhibition will only be open in the early morning, from sunrise, visitors are invited to see the video works before engaging in other activities. Breakfast will be served in the exhibition space, to stimulate visitors to reflect in dialogue, which makes the breakfast table an important element of the show*. The programme occasionally provides an opportunity to sleep and wake up in the exhibition. On several daybreaks a special guest will be invited to join the breakfast discussion and share their insights and knowledge. 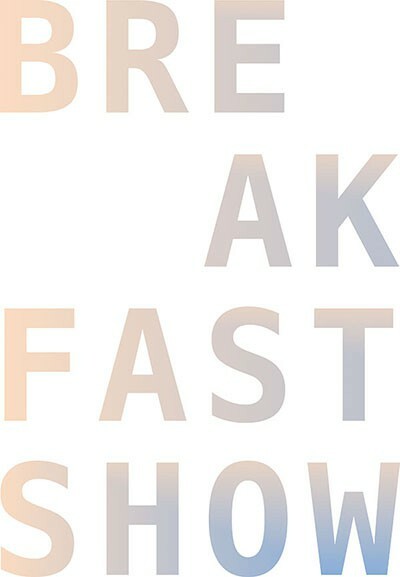 The Breakfast Show is a group exhibition, consisting of video works by Charlotte Dumas, Priscila Fernandes, Rosie Heinrich, Erica van Loon en Timmy van Zoelen. The shown works, each in their own way, can be connected to the above questions. At the same time they allow for a broader reading, leaving scope for one’s own interpretation and for discussion at the breakfast table. If one could interview cars, the majority of them would probably tell of a marvelous life of almost exclusive leisure; of doing nothing. Each little while they would be carressed and washed. They would always be filled. And yes there would be brief periods where they would have to do something: get people from one place (home) to another (work) and back from one place (work) via another (supermarket) to yet another (home). From the perspective of cars, people have a wrong idea of what they are, really. Likewise most works of art lead a life, in general, of non-activity, or so people think. Perhaps it is time to surprise art, then, with our presence and to do so when the owl of Minerva returns to its resting place, at sundawn. The day filled with history (we went to this museum, remember?) lies behind us; we have been looking back on it with the sharp eyes of philosophy. Yet now there are no sharp eyes, they have just closed; the owl goes to sleep. We don’t know as yet what the day will bring. Perhaps we should enjoy art the way we enjoy breakfast. Or perhaps art will ask us a pivotal question as for the day to come. Like: Did we sleep long enough? Perhaps art will ask us to sleep with it, next time, so that we can be together in the flesh, yet unaware of the other’s existence. What do we sense now that the sharp eyes are closed? Frans-Willem Korsten holds the endowed chair 'Literature and society' at the Erasmus School of History, Culture and Communication, is associate professor at the department Film- en Literary Studies at LUCAS: the Leiden University Centre for the Arts in Society, and at the Willem the Kooning Academy in Rotterdam, specifically the Piet Zwart Institute. Together with Yasco Horsman (University Leiden) and a number of PhD-students he is currently working on the role of literature and art at the limits of the law. He also makes music, with Zimihc, and loves to work with artists whom he came to know in the last years, like Edward Clydesdale Thomson, Sjoerd Westbroek and Katarina Zdjelar. In 2015 he won the prize of being the best supervisor of PhD theses in the Netherlands.